Treat your feet to the luxury and comfort they deserve with these ladise FAITH slippers by House of Slippers. 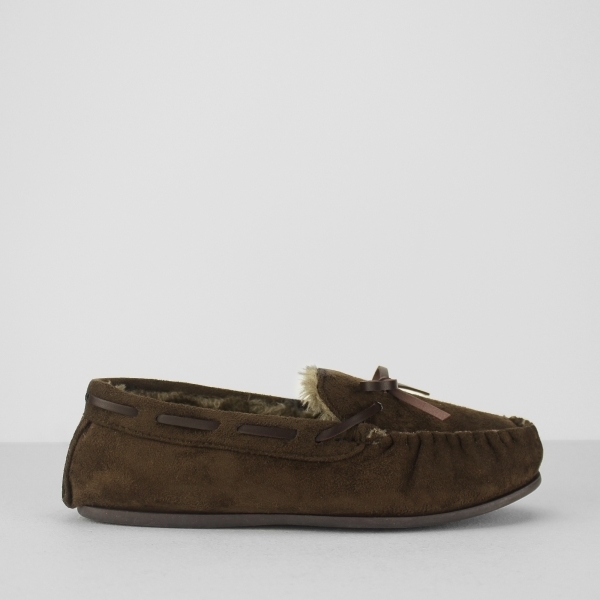 In a classic moccasin style, not only do these slippers provide a classic yet stylish look, but they also fully surround your feet with the soft faux fur lining, providing all the warmth you need to stay cosy on a cold night. Take every step in pure comfort as the memory foam insole cushions the ground you walk on and look as good as you feel as classic moccasin stitching adds the perfect finishing touch.